When God provides then he looks ahead. When he looks ahead he will know even before we know. In the Hindu Scriptures three qualities of God are described: sat*, chit, aananda*. Chit means “absolute knowledge”. God is omniscient, the knowledge is complete and without any gaps. This also means the knowledge about the future is also there. For us it is not or only to some extent obtainable. * "Sat" means “absolute existence” or “eternal life”. Aananda means “absolute bliss”. When the knowledge of the future already is there, then the future is certain. With that the question if everything is already predetermined is answered. God is absolute perfection. My teacher told me: “Even when a rice grain falls from your plate, God already knew it before. This is why we do not have to pray God for anything. Only the praise will remain. King David had composed the most beautiful praise songs; in this contribution e.g. Psalm 139. Dominus providebit. God will provide. This does not mean we are only marionettes or as it may happen in India that people are sitting back and taking things easy. 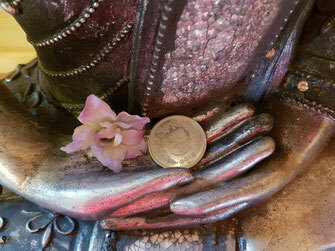 Dominus providebit gives us the calmness to do what we have to do and the result we will accept. With the knowledge as basis we make our experiences and we control if the acquired knowledge is correct. At least since 1679 at the Canton of Bern with the inscription «Dominus providebit», God will provide ! 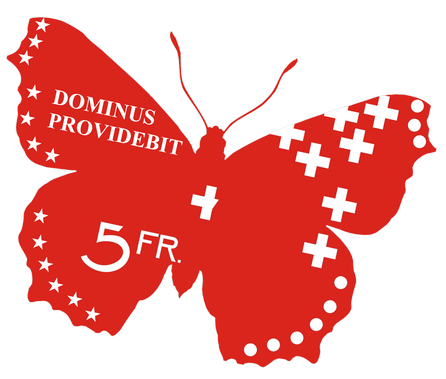 Since 1888 the coin of five Swiss Franks comes with the edge inscription «Dominus providebit», God will provide ! 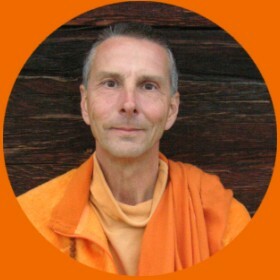 In this spirit God finds also a way to make my life as hermit monk possible. Do you like to take part and contribute? Your donation is welcome! What is regarded as a monthly minimum wage in Switzerland is sufficiant for almost a whole year. Would you like to act as a maecenas or as a benefactress or benefactor regularly? Email me or my administrator.